Struggling to write a resume? Not sure where to start? Let the professional resume writers from iHireUtilities help! Writing a Utilities resume and cover letter can be tough. Many job seekers struggle with this and are unsure of how to make a resume or cover letter that will work for them and generate interviews. It takes a well-written, attractive resume and cover letter to take the next step in your career and the professional resume writers at iHireUtilities can help. Get your resume written for you in 4 easy steps and for as low as $345! 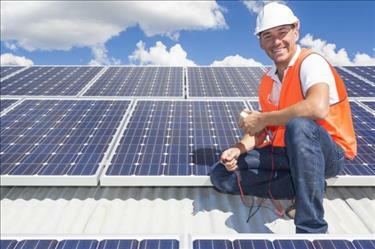 Register with iHireUtilities. It only takes a few clicks! Choose the level that's right for you: entry-level resume, professional resume, or executive resume. Tell us about your career and send us your current resume. Receive a draft of your new resume in 5–7 business days and work with your writer until you are 100% satisfied. The professional resume writers who work for iHire are educated, certified, and trained in modern resume writing strategies and formatting as well as the keyword optimization needed to get past applicant tracking systems. When you purchase resume writing services from iHire, you will be assigned a writer with knowledge of your industry. 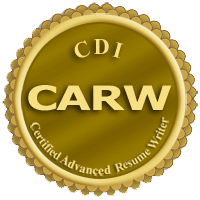 Our staff writers hold multiple certifications, have won industry awards, and have been published in best-selling resume writing resources. Looking for instructions on how to write a resume? Get specific guidance from iHire's expert resume writers to create an interview-winning resume and learn the latest job search strategies to get hired faster. I am ecstatic that I invested in a new resume. I now have a full-time job because of my resume. Having my resume redone by iHire was the right thing to do. I am very happy. After submitting my resume to 5 potential employers, I was invited for interviews and, as a result, received 3 job offers. Paul, a pharmacy professional with 20+ years of diverse executive-level experience, began his job search in the Fall of 2012. Most recently holding short-term and interim VP, CEO, consulting, and managing partner roles, Paul was looking to transition his comprehensive background into a more long-term position. After applying to several online job postings each week, Paul was experiencing one of the major obstacles of today's digital job search commonly called the "resume black hole" – completing online applications and never hearing back from employers. Paul signed up with iHire's resume writing in mid-November. iHire Resume Writer Natalie Winzer created two resume and cover letter versions for Paul, one targeting executive roles and the other focused on retail pharmacy positions to keep his options open. When asked which aspects of the resume writing service he found to be the most beneficial, Paul mentioned, "Structural organization and utilizing key words and phrases which allowed the electronic search process to filter me in instead of out." The details certainly existed in his previous resume version, however lacked the concision that hiring managers desire as well as the buzzwords and key phrases that applicant tracking systems require. Within just one week of using his new documents and posting his revised resume to LinkedIn, Paul received about half a dozen call backs from recruiters and company hiring managers with legitimate and exciting opportunities within his target markets. After several interviews and offers, Paul accepted and began his new role as Corporate Director of Pharmacy Development on March 1, 2013 with one of the leading independent wholesale drug distributors in the US. Furthermore, this was an entirely new position created specifically to accommodate Paul's unique and extensive qualifications. Elisa was currently employed as an Office Supervisor and Dental Assistant for an oral and maxillofacial surgery practice, but wanted to find a new position with a larger practice that better utilized her managerial, customer retention, and business development skills. She hired someone to write her resume over a year ago, but she wasn't receiving any responses from employers and started to wonder if her resume was getting lost in cyberspace. iHire.com resume writer Natalie Winzer gave Elisa's resume a complete makeover, both in terms of content and style. Natalie added a touch of color and eye-catching metrics to Elisa's achievements, showcasing exactly how her efforts positively impacted office operations. Elisa used the new resume to apply to a Dental Office Manager position with a company she had applied to on two occasions in the past, but without success. Two days later, Elisa was requested to come in for an interview. “I for one feel like a puppy wagging its tail in anticipation. You are a great part of the opportunity for good things to come in my career,” Elisa wrote in an email to the iHire.com team. Her new resume more clearly highlighted what Elisa had to offer and gave her the edge she needed to land the interview and subsequently receive an offer. Elisa's success story is proof that having the right tools makes all the difference in your job search. Marc is a highly experienced, skilled, and talented hospitality professional who has been in the industry for more than 20 years. When Marc first began looking for employment a few years ago, he initially chose to work with a well-known company to get a new resume and obtain job leads, spending approximately $1,000 altogether. He was actively applying to positions and getting zero hits on his resume and after months of frustration, Marc did some research and found iHire.com. After learning more about the organization, he signed up at the end of April for iHire.com's resume writing services. The resume Marc had written by the other company had a plain format, didn't contain a key word section, and contained too much content so his accomplishments were getting lost and not standing out. After reviewing his information and qualifications, iHire.com resume writer Jamie Farley chose to use a chronological format. She started off with a strong summary which highlighted his 20+ years of experience, followed by a core competencies section which consisted of hard-hitting, industry-specific key words. Next, she went on to create the professional experience section, developing concise job descriptions and bulleting the accomplishments. Jamie bolded only the specific results he achieved, knowing exactly what the hiring managers in Marc's industry were looking for. By using the new resume, Marc received a lot more responses from employers in a short amount of time and also landed a position. Marc was thrilled with his resume and thought it showcased all of his qualifications and “brought his resume to life.” Marc, who is now happily employed in a great hospitality position, stated he would recommend iHire.com to job seekers in a heartbeat. Jodi has worked in collections and customer service for the past 10 years. She had been casually job searching for a year while working as Collector/Reimbursement Analyst. After losing her job in September, she began a more aggressive search. After months of not getting much feedback on her resume she signed up with iHire.com and decided that it was time to enlist the help of a professional. Jodi was assigned to work with iHire.com resume writer Jamie Farley who specialized in her industry. Jodi's original resume had a very simple format, started with an objective statement, listed generic daily duties, and ended with a references section. Based on her professional experience and qualifications, Jamie chose a hybrid format. Jodi's new resume started off with a hard-hitting summary followed by a key skills section. Next, Jamie created a career highlights section to show Jodi's top accomplishments right off the bat. Jodi's new resume put more of a focus on her collections/customer support experience and showcased her qualifications in an easy-to-read format. After receiving her new and improved resume from iHire.com, Jodi immediately started applying to positions. She received positive feedback from employers and landed a lot more interviews for a variety of opportunities. After 3 weeks of using her resume and with several offers to choose from, Jodi secured a job as a Collector, her first choice. As an Accounting Manager with more than 17 years of hands-on experience, Victor Crainich (Vic as he likes to be called) knows numbers. When it comes to financial statement preparation, month and year-end closing, or ad hoc reporting, Vic has been the go-to person for his employers throughout his career. When he began looking for work in December, Vic decided to have his resume rewritten by a professional resume writer. 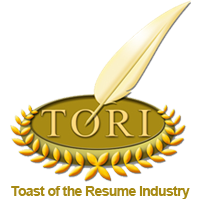 However, after 3 months of searching with little results, Vic sent it to iHire.com for a second look and ultimately decided to have the iHire.com resume writing team take over the revision of his resume. Vic attacked the questionnaire with the same tenacity and attention to detail that he brings to his daily financial analysis and account reconciliation duties, never hesitating to ask questions about the pertinence of his specific experiences. After returning the questionnaire and receiving the first draft from his writer, Freddie Rohner, Vic examined the document closely and collaborated with Freddie to make sure his new resume accurately presented his career and would catch the attention of potential employers. Armed with a resume that took full advantage of Vic's many achievements, using strategically placed bold font to further accentuate his significant and vital contributions for his previous employers, Vic landed the precise job he was looking for (Controller) within a week of finalizing his new resume. Michelle, a Pharmacist with more than 20 years' of experience, was having no success with her resume. After 3 months of searching, she had zero hits and no interviews. Michelle researched resume writing tips on the internet and attempted to make adjustments on her own, but to no avail. She had the experience, the education, and the skills – why was her resume being overlooked? After learning that iHire.com offered professional resume writing services, and realizing this was the key to succeeding in the highly competitive pharmacy market, Michelle decided to have her resume rewritten by iHire.com resume writer Natalie Winzer. The new resume was completed in the beginning of October, and within 5 days, she interviewed for and landed a position with a major retail pharmacy in her area. Her new resume enabled her to go from zero to 60 in less than a week, finally getting in the door and nailing the interview. For Michelle, someone with extensive experience and highly impressive credentials, a professionally written resume was the missing link in her job search. Heidi, a Certified Registered Nurse Anesthetist (CRNA) with more than 10 years of experience, had been searching for a new job for 7 months. Not only was she targeting positions in a highly competitive market flooded with new graduates, Heidi was also hoping to relocate 3,000 miles away. After using the resume she created herself for many months without success, Heidi researched resume writing services and decided to move forward with iHire. Her resume and cover letter were assigned to Natalie Winzer, one of iHire's resume writers who specializes in writing resumes for healthcare professionals. Natalie employed a hybrid format for Heidi's resume, as a traditional chronological format would have been repetitive, lengthy, and ineffective in emphasizing Heidi's extensive skill set as well as her unique accomplishments. A “Professional Highlights” section placed strategically on the first half of the first page summarized Heidi's qualifications in addition to key projects she participated in such as new hospital openings, student precepting, staff training, committee memberships, and policy and procedure updates. Next followed a “Professional Experience” section providing concise yet thorough information regarding role details and specific cases to showcase her breadth of experience. Heidi stated that the new resume, “made me ‘stand out' and read like I had to be hired!” Heidi also found the one-on-one communication with her writer and the time Natalie took to fully understand Heidi's background and current objective to be most beneficial. Natalie also assisted Heidi with tailoring her new cover letter for a CRNA position with a hospital in her family's ideal location. Within 24 hours of applying, Heidi was contacted for a phone interview and subsequently received and accepted an offer. Brandon could be defined as a passive job seeker – not actively seeking a new job, but keeping his eye out for attractive openings at the same time. He had been gainfully employed at a college bookstore as the Course Materials Manager/Interim Manager for the past 10 years and doing very well in the role, but heard about a potential opportunity (not yet advertised) that better aligned with his overall career aspirations – sales and accounting – and it was a position where he could utilize his higher education in accounting as well. Hesitant to apply to this unique opportunity with the resume he wrote himself, he decided to have it rewritten by iHire Resume Writer Natalie Winzer. As part of iHire's resume writing service, Brandon was requested to provide his existing resume as well as complete a comprehensive questionnaire that ensured his writer had the latest and greatest details for his new document. “The questionnaire allowed me to organize the areas of expertise and achievements in a way that made it easy for the staff to create a dynamic resume,” Brandon said. Time is of the essence in today's competitive job market, and Brandon also appreciated the fast 5-day turnaround of iHire's resume writing service. Less than two weeks after sending in his resume, Brandon received a call for an interview with two of the company HR team members who, Brandon said, “had to meet me after seeing my resume.” About four weeks later, he filled a new role that was created specifically for him and will fully utilize his talents in sales, accounting, ordering, and customer service. Brandon's story is a great example of how critical an effective resume can be in a successful job search – he had the perfect skill set for the new position the company was hoping to fill and by having his resume professionally written, Brandon guaranteed those skills were marketed as strongly as possible. Questions? Not sure which level resume you need? We can help.